As a full-service SEO company, Huemor Designs is the company to call when you're ready to attain absolutely incredible search engine optimization services that keep your organization going and growing. 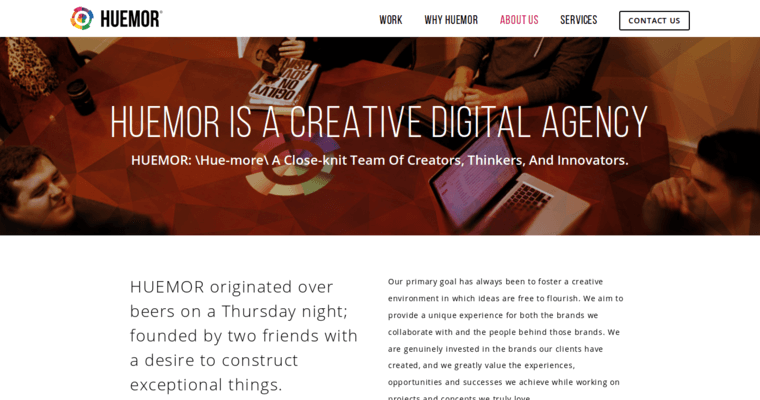 The representatives of Huemor Designs are passionate about developing and executing SEO strategies that will optimize the client's online influence, traffic, and revenue. The professionals of the company are pleased to offer a wide range of services to generate these business-optimizing outcomes. Some of them include: competitive analysis reports, detailed site audits, and 1-on-1 consult sessions. If you're ready to obtain comprehensive on page and off page optimization services that will make your brand increasingly visible and influential online, choose Huemor Designs!